In a Game of the Week thriller that went to overtime in historic Hala Pionir, CSKA Moscow held on Thursday for a 71-76 road win over Partizan mt:s Belgrade thanks to the game-long heroics of Sonny Weems, the same player who saved last year's runners-up in opening week. 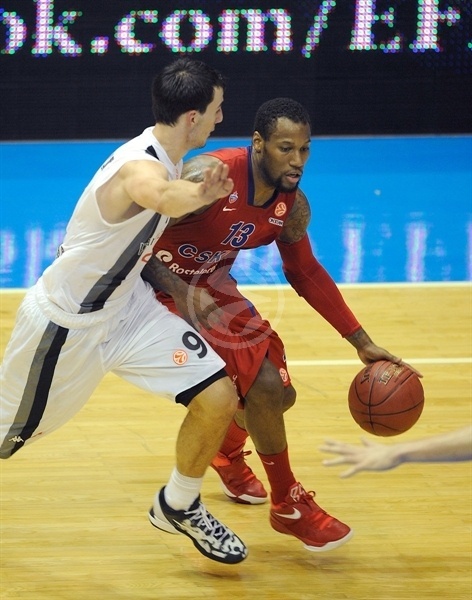 Weems scored 8 of his 30 points in overtime as CSKA came back from a 69-65 deficit in the extra period to win. He made 8 of 12 three-point shots, 2 of 2 threes and 8 of 8 free throws on the night. CSKA raised its record to 2-0 in Group D and is tied for first place with both FC Barcelona Regal and Besiktas JK Istanbul. Partizan fell to 0-2 despite a heroic effort to come back from 12 points behind in the second half to force overtime with a 62-62 tie on free throws by Bogdan Bogdanovic. Weems was the only CSKA double-figure scorer until Milos Teodosic puts CSKA in front, 69-70, with a three-point play in overtime and added 2 of 2 free throws after that to finish with 12 points. CSKA withstood a team-record 26 turnovers, but had only one in overtime. Partizan got 16 points from Bodganovic, 15 points from Leo Westermann and 11 from Davis Bertans, all of whom are 20 or younger. 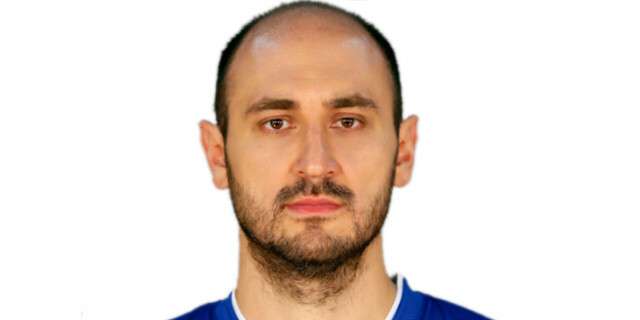 Dejan Musli pulled 10 rebounds for the hosts. CSKA coach Ettore Messina made one change from the starters against Lietuvos Rytas, bringing in Anton Ponkrashov for Drew Nicholas. CSKA had trouble scoring despite taking a 0-4 lead on free throws by Viktor Khryapa after an unsportsmanlike foul and his assist to Weems for a dunk. 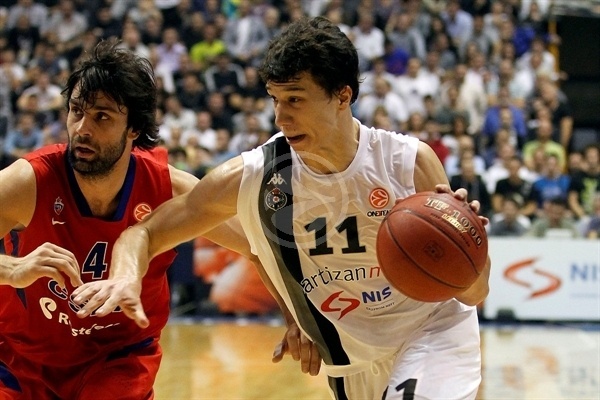 Bogdanovic soon helped Partizan seize its first lead, 5-4, on his layup and three-pointer. The defense of the hosts shined early on, forcing 7 turnovers from CSKA in the game's first 5 minutes. Partizan was giving CSKA with similar problems as it had against Lietuvos Rytas in Week 1, focing the victors into rushed passes and shots. Westermann was cool at point guard and took Partizan up 11-4 with a three-poingdf. The introduction of Aaron Jackson pulled CSKA back into the battle, as he scored his team's second basket and turned it into a three-point play. That sparked a CSKA comeback that was fueled by Zoran Erceg sinking the first three-pointer for the visitors for a 13-14 lead after 10 minutes..
Weems resumed his scoring in the second quarter to extend the CSKA lead, but that's when Bertans got started with an awesome deep triple to keep Partizan close. The passionate fans at Hala Pionir were loving it even more after Bertans put up a reverse finger roll on an offensive rebound to get Partizan within 20-22. Weems soon got back into the groove, sending down a three-pointer and a shorter jumper. Khryapa's free throw halfway through the quarter made it a double-digit difference for the first time, 20-31. A run of 6 consecutive points from Drew Gordon sandwiched around a monster slam from CSKA's Nenad Krstic helped Partizan trim some of the difference to 31-39 at halftime. Krstic opened the scoring after halftime with a post-up basket that Gordon answered with another jumper for Partizan, but soon the smoking Weems added to his tally with a beautiful jumper to restore a 10-point CSKA lead at 33-43. 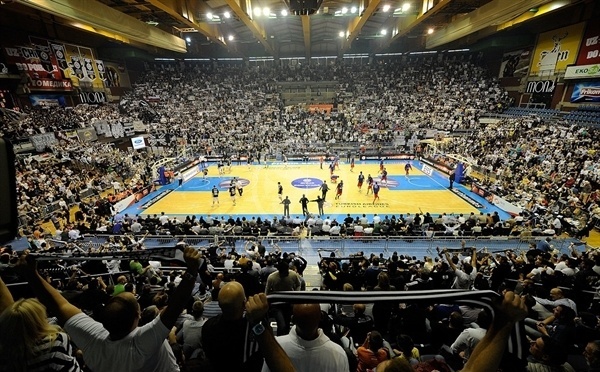 Once again, Partizan needed a big time three-pointer to bring Pionir Hall back to life, this time courtesy of Vladimir Lucic. Bertans wanted some of that, and he put in one of his own after a basket by Khyrapa. After a timeout, Partizan asked for more from outside in order to reduce the deficit. Bogdanovic obliged, taking Partizan briefly within five until Drew Nicholas went down the other end of the court and sank a jumper. Setting the game up for a grandstand final quarter was Bogdanovic’s 2 free throws with 6 seconds left in the quarter, making it a three-point game, 46-49, going into the fourth. Lucic's basket to start the fourth quarter got Partizan within a point. Weems was again ready with CSKA's answer, but an acrobatic layup by Westermann kept Partizan on the heels of the lead. 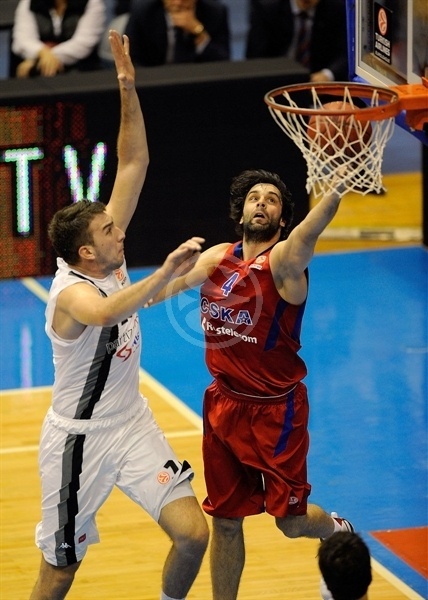 A quiet Teodosic then gave a reminder of his presence to re-extend the CSKA advantage. Finally, however, CSKA couldn't resist as Westermann banged down a three-pointer on an unbelievable turnaround that Partizan back in front 55-53, for the first time since the opening quarter. Weems responded with not one but two huge dunks, one on the fast break and another as he stormed down the lane. Just as tough, Bogdanovic hit a huge shot from in close to tie it up again, 57-57. Khryapa dunked to break the tie, but got called for travelling as CSKA's turnovers started mounting again. 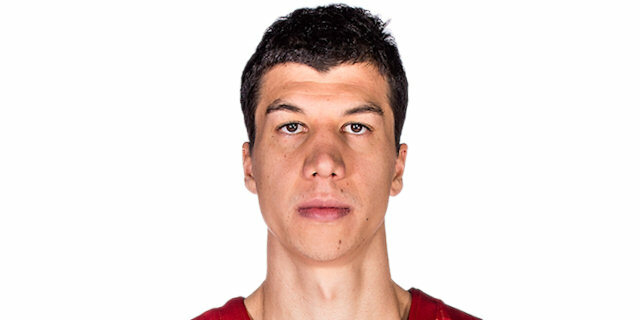 Bertans raised the roof at Hala Pionir then with another gutsy three-pointer under pressure, but Teodosic changed the script at the other end with a triple of his own. After Krstic put CSKA ahead 60-62, Bogdanovic answered with his own game-tying free throws with 1 minute to go. Partizan got the final possession with 25 seconds left an got two chances, an open shot from the foul line by Bogdanovic and, after a rebound by Bertans, a three on the buzzer by Westermann that almost missed. All of Hala Pionir exhaled as the game went to overtime. Overtime began with Bogdanovic and Krstic each splitting free throws to to make it 63-63. Musli put in the first basket of overtime to seize the lead for Partizan and Bogdanovic then sent down a dunk to let the hosts surge in front, 69-65. Another Musli layup cancelled out free throws by Weems, but then his layup got CSKA back in striking distance. Teodosic did the honors with a driving layup and the foul that came with it - and took a lot of wind out of Partizan with 1:21 left in OT. The hosts had to foul finally, so Teodosic and Weems split 4 perfect free throws between them to CSKA escaped Belgrade with 71-76 victory. 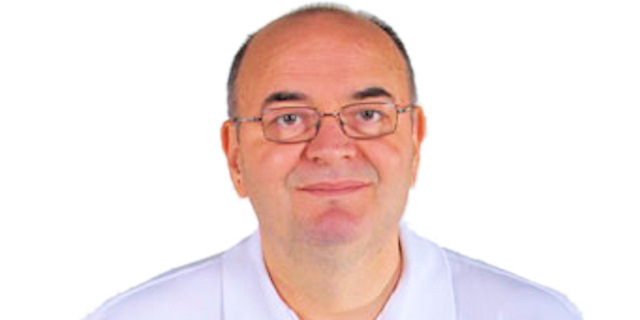 "If Partizan won this game, I would have had a special reason to be the most happy man in the arena. Anyway I am proud because of my players. We missed Thomas, who injured his ankle and Westermann was tired in overtime when we led by 4 points. Bogdanovic showed his talent tonight, but Partizan lost the game due to our inexperience. In the decisive moments, we played some bad defense." "An amazing game; both teams gave their best. Partizan played excellent all 45 minutes. I cannot be happy after the 26 turnovers we had, but it is so important we switched the game. At the end of regulation we decided to defend instead of making a foul. We forced them to miss the last shot. Partizan has a nice opportunity to write new pages of club history with these young players. I am happy for my great friends Vujosevic and Sasa Danilovic. " "Partizan played well, maybe better than anyone expected, but it means nothing because we lost at the end. I think we missed the chance to win the game in regulation. It is important to forget this loss and move on. We will get better as time goes on." "We were bad tonight. The atmosphere in Pionir was as great as ever. In the end we won thanks to our pure quality."